I was going through some old tapes and found a late-night interview I did in the ’80’s with Tony Cennamo, the legendary WBUR Boston DJ. Nothing I can say about him wasn’t said better by his WBUR colleague, Steve Ellman, in a moving memoriam written at the time of Cennamo’s passing in 2010 at the age of 76. You can read Ellman’s tribute here. Here’s our interview, minus the music selections. Those are posted on my YouTube channel, Anne Farnsworth Music. “Brooklyn accent riffing through the Boston night, Tony Cennamo used his expansive understanding of jazz as a counterpoint to the records he played past midnight on WBUR FM, entertaining and educating sleepless lovers of everything from bebop to avant-garde. Listeners can hear his voice speaking the words he wrote for the Christian Science Monitor when he took a moment “to vent in print what is on the tip of my candid tongue” in January 1985. Musicians’ names cascaded like a soaring saxophone solo. He didn’t play it safe, either, and his precisely rendered opinions helped shape jazz tastes for a generation of fans during the quarter century he spent on WBUR. Mr. Cennamo, who also taught at Emerson College for many years, died Tuesday in Glen Ridge Nursing Care Center in Malden. He was 76 and had suffered a seizure in April. Mr. Cennamo, who was master of ceremonies for the Boston Globe Jazz Festival in years past, kept an eye on the past and present, too. Steeped in the genre’s history, he would tell anyone who asked, and many who didn’t, that jazz was an African-American art form. He also looked askance at soothing new age music and the artists featured on the Windham Hill recording label, rejecting the suggestion that jazz could be found in, say, the piano playing of George Winston. James Isaacs, a former Boston Phoenix writer who became a colleague on the air at WBUR, said that even when discussing musicians he admired, Mr. Cennamo employed a ready sense of humor to humanize performers that many place on a pedestal. The oldest of three children, Mr. Cennamo grew up in Brooklyn, N.Y. He told the Boston Herald Sunday Magazine in 1987 that the first record he bought was a collection of Duke Ellington tunes, chosen because of the trombonist, Lawrence Brown. He joined the Air Force and was stationed in Omaha, where he formed an integrated jazz ensemble and railed against any club owner who tried to exclude the band because it included black musicians. While in Nebraska, he met and married Doris Steffen, and used the GI Bill to attend Creighton University in Omaha. He got his first experience on radio across the Missouri River in Council Bluffs, Iowa, then moved his wife and children back to Brooklyn, landing a job in the WCBS radio library. Among his first producing opportunities was a folk show for WCBS, through which he met the likes of Carly Simon, Phil Ochs, and Mary Travers of Peter, Paul, and Mary. He also was a producer of Pat Summerall’s sports show. 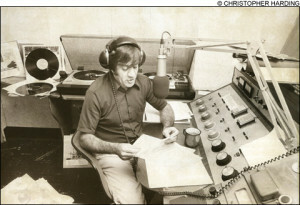 In 1967, Mr. Cennamo took a job with WCAS AM in Cambridge, where he ran a community talk show that dealt with polarizing topics such as opposition to the Vietnam War. 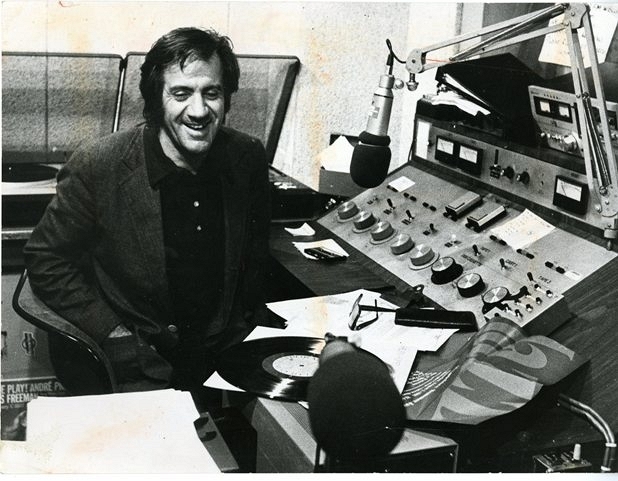 WBUR offered him a weekly jazz show in 1972, and he moved to weekday mornings in 1974. The disc jockey made cameos in Robert B. Parker’s Spenser mysteries, with the Boston detective listening to his radio show while on the job. The station revamped its programming in 1981, shifting Mr. Cennamo from mornings to a 10 p.m. to 2 a.m. shift, and edged him ever later over the years until he was signing off at 4 a.m. at the end of his tenure in 1997. Mr. Cennamo, whose first marriage ended in divorce, augmented his radio work by teaching jazz history and radio programming at Emerson and in other venues. New to Boston, Carine Kolb met him in 1986 when she took one of his classes. They married three years later. Mr. Cennamo suffered his first stroke in 1986 and returned a few months later to teaching and the radio show. While the stroke hobbled him physically, it had the unanticipated effect of reinvigorating his approach to work. “He would go to WBUR in the middle of winter, with snow on the ground, with a very strong limp and a cane, still carrying a very big bag of records, because he wouldn’t go anywhere without a stack of records,” his wife said. This entry was posted in jazz, music, Tony Cennamo, Uncategorized, WBUR Radio on March 23, 2014 by Anne Farnsworth. Anti-Spam Quiz: What city was Tony in? "This is not me. This is not mine. I am above all this." "Shrike dashed against him, but fell back, as a wave that dashes against an ancient rock...What goes on in the sea is of no importance to the rock." Mondegreens – What Did He Sing?